The Simple Payload Section is an easy and economical way to add a payload section to your rocket by using the nose cone that's already on your model. Great for school/group projects and available in bulk pricing. Quantites of six or more are bulk packed with a single copy of the instructions (which may be photocopied if you desire extra copies). For use with a model that has a T-20 size Body Tube and T-20 size Nose Cone. 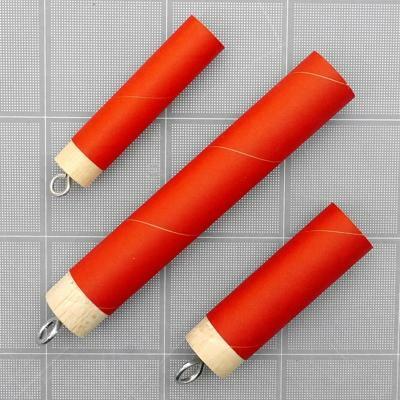 Includes red payload tube, screw eye, balsa bulkhead, snap swivel and complete instructions. 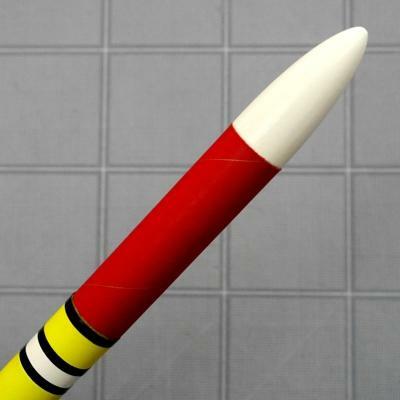 Payload tube is 2.75" Long (actual payload capacity will depend on the size of the shoulder of your rockets nose cone). You can read the instructions by clicking here.